Pressing apply for the first twenty jobs that you see is not going to guarantee you a job. In fact, it could do just the opposite and hinder your chances. If we have a candidate apply for every job that we have advertised on our website, we start to question whether they are actually qualified for those jobs. Question marks will come up about why you are open to both a part time accounts role and a full time marketing manager position. 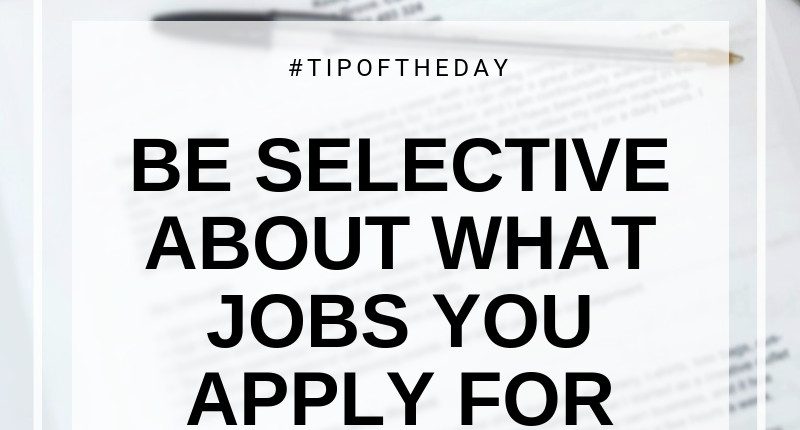 Be selective about what you are applying for, take the time to adjust your resume to suit each position you are applying for and address the person if there is a name on the job advertisement. Good luck on your job search and call us today if you would like to discuss available positions through our office. How Can You Help Your Employees Stay Happy?